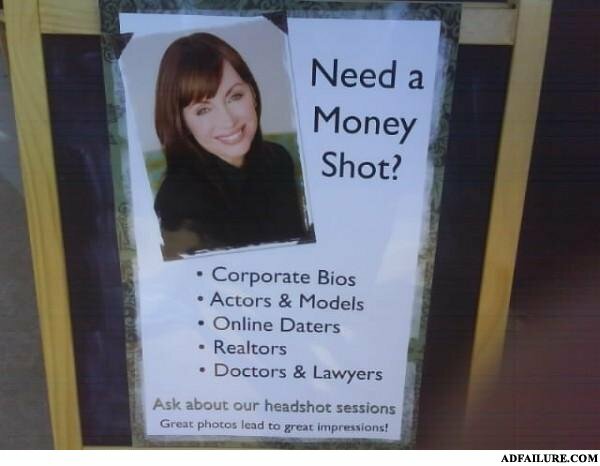 Headshots for online daters???! Wow. I can get paid to give a money shot??? I NEED TO WORK HERE!!! !